Each language has its own unique aspects, phrases and idioms that are not translatable into other languages. Being aware of this fact, we pay special attention to the accuracy and precision of the translated content and our linguists always try to find the best equivalent of any given expression. When dealing with more complicated or highly specialized texts we use the expertise of professionals of any given field who represent a high level of proficiency in their areas of interest. Also our use of thematic lexicons, style guides and customized internal glossaries allow us to perform translations of irrefutable quality. Additionally, our archiving system for completed projects and their Translation Memories are benefits which our clients welcome frequently since it speeds up the time-to market of their time-sensitive localization activities. The scope of document formats which we work with is wide and include all MS Office formats, formats used by various Desktop Publishing and other tools such as PDF, RTF, XML, XTML, TXT, ASP, JSP, TIFF. 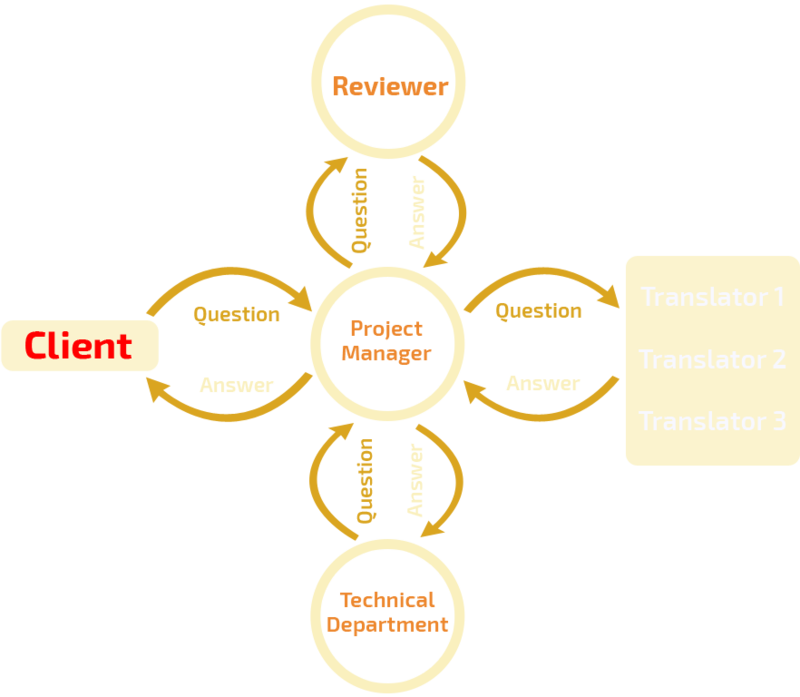 Whether your translation is in a PDF format or hand-written document or a slide presentation, we can easily handle it. To ensure proper translation of your content, we create project-specific term basesstored in a Translation Memoryand our translators are obliged to consult the Project Manager every time they have concerns related to the vocabulary. He or she then provides an answer by consulting our technical experts, or if the vocabulary is common terminology of a product, the client is asked for clarifications and approval. All new words are included in the TM and the term base is updated for future reference. This ensures terminological consistencyacross the whole product, which is of crucial importance with long-term projectsrequiring regular updates. To find out more about our translation standards, plese visit the Quality Assurance section.